how can I validate data against a table? Hello, to help you better, kindly elaborate on what you are trying to achieve. 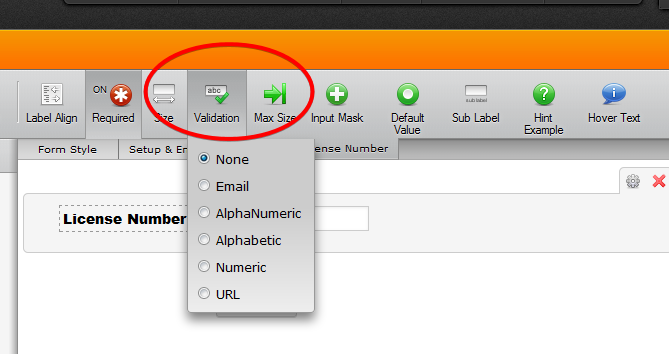 Also, if possible, do provide the FormID (URL) and the site where the form is embedded, if any. against data in a spreadsheet or a simple table. I have a list of valid license numbers and I'd like to validate that it is a known number before allowing them to move to thank you page. Can I use one of your templates? 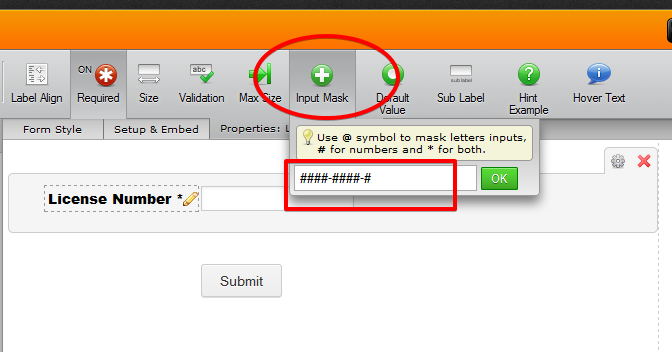 The input mask property should also help further restrict the inputs to the valid required value. BUT I also do understand what you were referring to as 'validate' -- that is, you wanted to compare/check the input value to an external data source i.e. table list or spreadsheet.